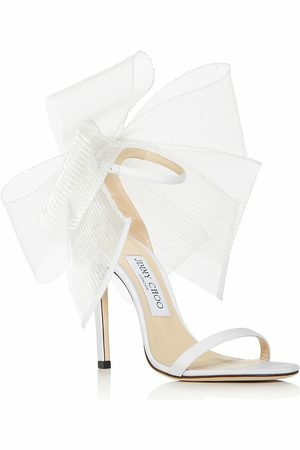 Jimmy Choo - Jimmy Choo's Lynn sandals evoke femininity with their dusty-pink hue and sultry strappy design. They're crafted from sumptuous suede with a towering stiletto heel and glistening crystal studs - notice the embellished star motif on the slingback strap. Let them bring a final touch of chic to a sophisticated white evening dress.